One of the two new doors replacing the curtains that I created on each side of the priests door. Before and after altering the priests door adding my stained glass windows and carved rosettes overhead. Carving in the rosettes that will be installed over each of the three stained glass windows. 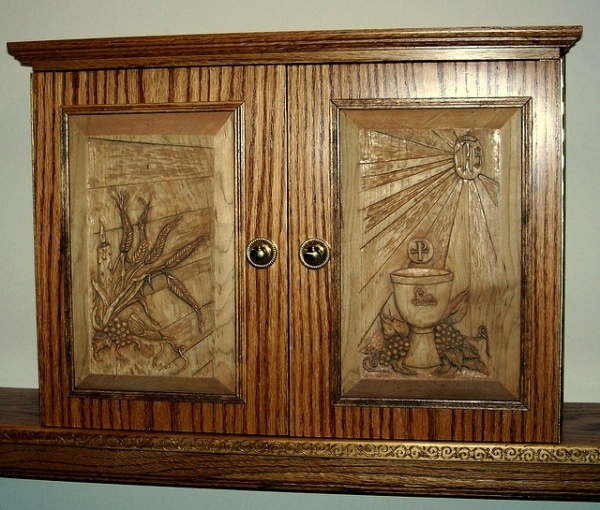 Gothic styled wood carved hymnal with symbols devoted to Mary at Our Lady of Grace Catholic Church Greensboro.2012. St Johns Anglican Church Greensboro. 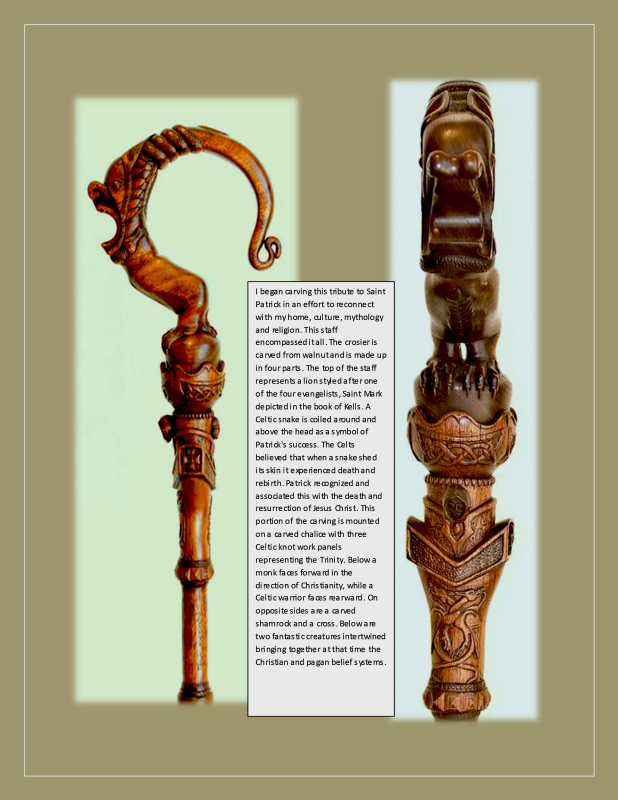 Commissioned hand carved door panels in Maple. St Paul the Apostle Catholic Church. Jesus Restores the Blind Mans Sight. Cold cast bronze. 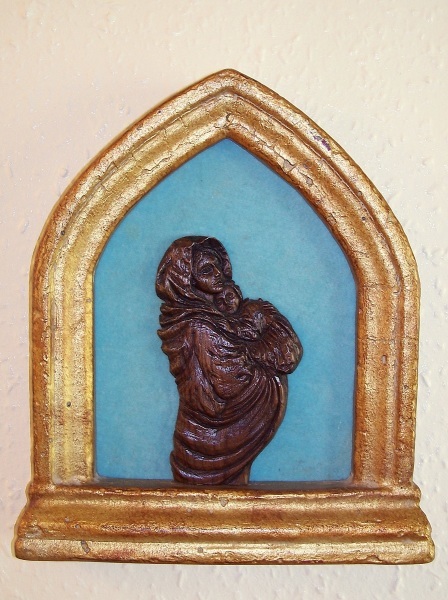 Walnut wood carving of mother and child. and the Holy Vatican in the background. 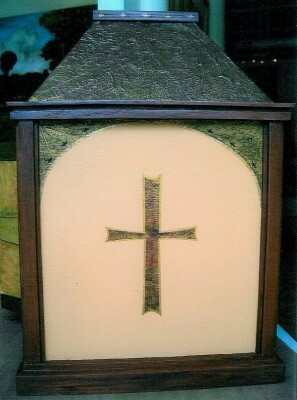 Commissioned for St Pius Catholic Church, Greensboro.